Categories: Achilles Heel, Ankle Sprains, Arch Pain, Corns, Flat Feet, Heel Pain, Insoles and Orthotics, Over Pronation, Shin Pain, Tendonitis. The Gel Plus is ideal in all types of footwear used in high-impact activities. The Dual Gel Shock Modules provide extraordinary protection for the two major impact zones, the HEEL and FOREFOOT. The Gel Plus is ideal in all types of footwear used in high-impact activities. The Dual Gel Shock Modules provide extraordinary protection for the two major impact zones, the HEEL and FOREFOOT. 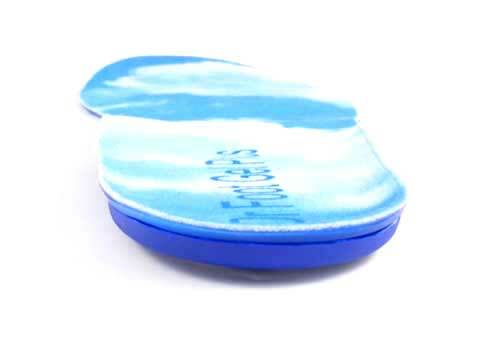 They also feature an arch support to prevent over pronation (rolling over of the feet) which can cause problems such as heel pain, arch pain, back pain and leg pain. These remarkable dual-density gel insoles doubles the cushioning where feet need it the most – at the heel and metatarsal area. 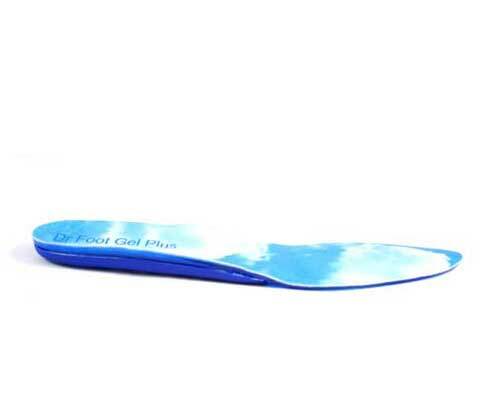 So if you suffer from conditons such as flat feet, over pronation, heel pain and pain in the forefoot use these insoles to support the arch, cushion the heel and forefoot for extra comfort. One size fits unisex shoe size 5-10. Trim to fit your size. These performance insoles are ideal for all High Impact Activities. 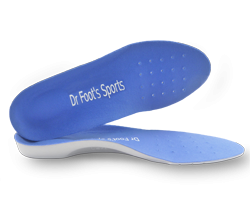 The combined forefoot and heel gel cushions provide comfort along with a supportive 4 degree arch support. 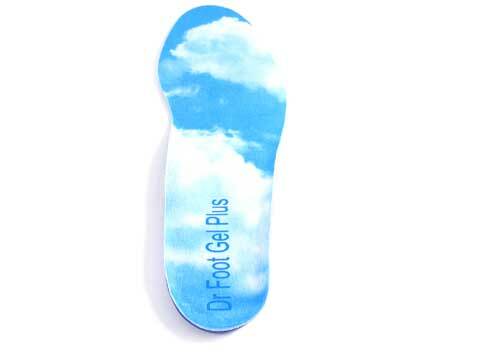 It is recommended to replace any current insoles with the Dr Foot Insoles. 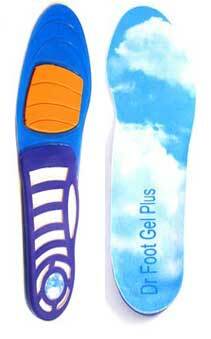 The insoles are designed to be trimmed to fit inside shoes. Trim them using the guidelines provided on the base of the insoles for an exact fit. *Identify the left and right orthotics. 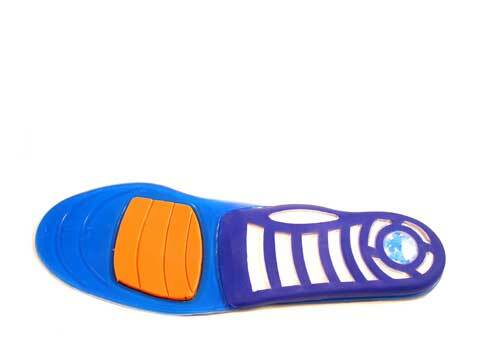 Turn the insoles over and place them on a flat surface with toes facing away from you. *If a manufacturer insole is already in the shoe, remove it. If you desire, you can use this as a template to assist in cutting. *Using a sharp pair of scissors, carefully trim the base of the insoles along the guidelines one line at a time. 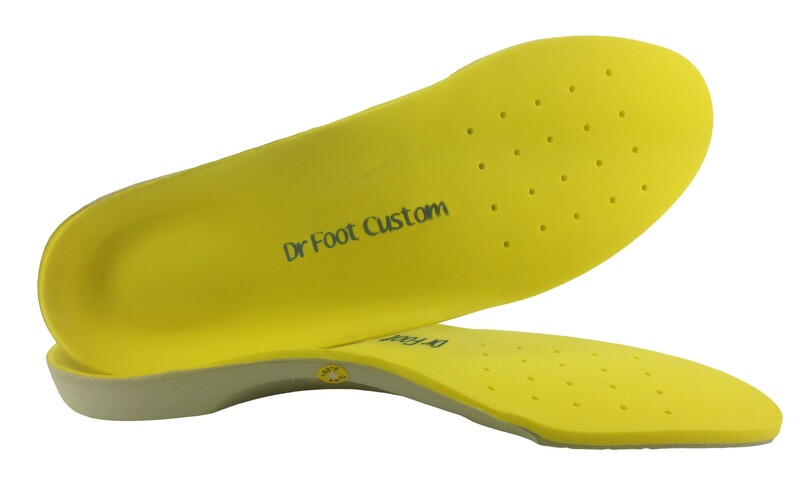 *Place the insole in the shoe and if the insole is not a perfect fit, trim the next guideline until your Dr Foot Insoles fit perfectly. 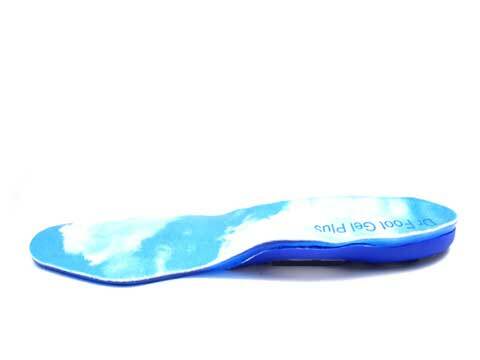 To clean the insoles, simply wipe clean with soapy water. Do not soak them. 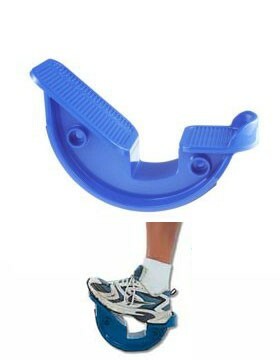 The ProStretch Step Stretch device is recommended as a way to both treat and prevent Achilles pain, heel pain and foot arch discomfort. While many people do remember to stretch both before and after exercising, many people aren’t stretching properly, and that’s where the ProStretch Step Stretch device is helpful.